Located in the scenic, upscale Riverdale neighborhood, steps away from the Arkansas River Trail and beautiful Rebsamen Golf Course, The Park at Riverdale is luxury living at its finest. 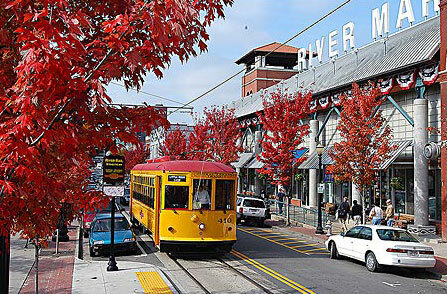 From the Park at Riverdale you are minutes away from Downtown Little Rock and the historic Downtown River Market District and next door to the ATA World Headquarters. Enjoy city living in a relaxed, resort style atmosphere and see why The Park at Riverdale is one of Little Rock’s most sought after addresses. The Park at Riverdale is located next to the prestigious Heights neighborhood and The Country Club of Little Rock. Here you will find some of the city’s most popular restaurants, quaint cafes, exclusive boutiques, antique shops, and many of Arkansas’ premier interior designers. On the Arkansas River Trail, you can jog or bike to Murray Park, one of Little Rock’s many city parks or play a round of golf at Rebsamen Golf Course, Little Rock’s largest public golf course. 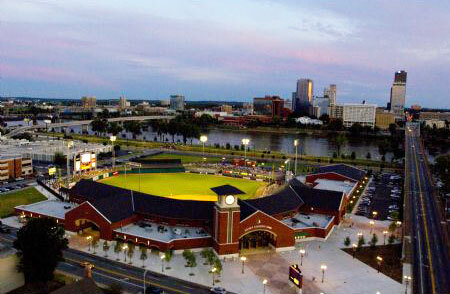 Along the river, enjoy outdoor concerts or take in an Arkansas Travelers baseball game at Dickey-Stephens Ballpark. The Riverdale area and The Park at Riverdale offer so many amenities to complement your active lifestyle. The Riverdale area boasts some of the finest cuisines in Arkansas. Authentic Cajun delicacies can be found at the Faded Rose or walk next door to the Buffalo Grill where the burgers are a favorite. Enjoy eclectic American dishes on the patio, overlooking the Arkansas River at Brave New Restaurant. The Park at Riverdale’s prime location provides convenient access to Little Rock and all major interstates.